Initially they used the Aackosoft brand together with Eaglesoft for budget releases, but quickly most software released was under the Eaglesoft brand. In the later years (1987-1988) they instead used the "Methodic Solutions", "Eurosoft" and "Premium III Software Distribution" brands. 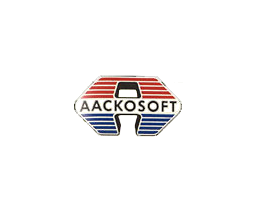 There was also Aackosoft Edusystems for educational titles. Due to the declining popularity of the MSX Aackosoft filed for bankruptcy in 1988 and re-started as Methodic Solutions, but this appears to have only given them a short respite as no software was published after 1988. There is a brief mention of this in the Dutch MS(X)-DOS Computer Magazine issue 23, page 78.